This week, the guys break down the upcoming slugfest with the 9-2 Minnesota Vikings, a game with major ramifications on the 2017 season. Skols and Crossroutes: The guys talk about how tough this matchup with the Vikings is going to be for a Falcons team who has yet to play as formidable an opponent this season. The Case to Crack: The duo harp on how important it is for the Falcons to get consistent pressure on the Vikings offense with QB Case Keenum having a great year. Ice versus Ice: How will Matt Ryan and the upstart Falcons offense fare against one of the best defenses in football? The guys examine this difficult task for the O. Predictions on the Fjord: Mike and Cory wrestle with where this game is going to eventually land, which might be sparked by the availability of star CB Desmond Trufant. Programming Note: Mike and Cory are hosting The Falcoholic Postgame Show this season, presented by Rise Up Reader. 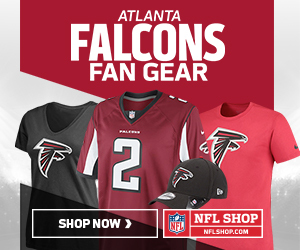 Subscribe to The Falcoholic on iTunes to give it a listen, or visit here. Mike and Cory will be back next week for a preview of the season’s first New Orleans Saints game.